In this masterclass we offer a new range of data journalism projects, with step-by-step instructions to completing them. 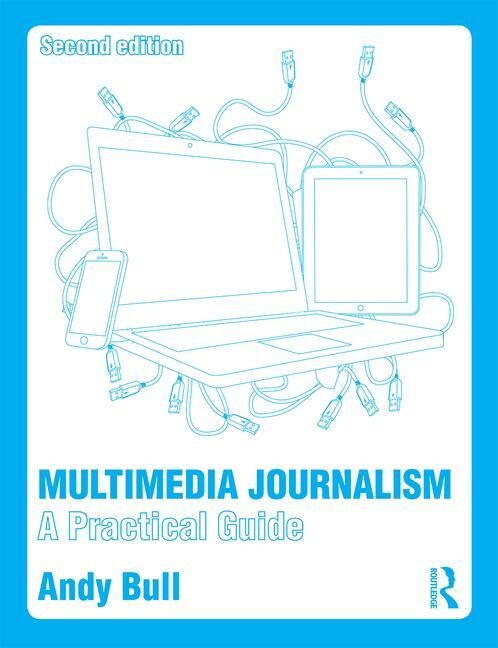 The first is designed to replace the project found in module 13B4 of the print and ebook versions of Multimedia Journalism. A replacement has become necessary because Many Eyes, the platform we used there to turn our data into a range of visualisations, has now been withdrawn by its makers, IBM. Here's a reprise of the approach to data journalism we take in Chapter 13 of MMJ. You do exactly the same when data is your source material, rather than a collection of quotes, documents and events. Go to Open Data by Socrata, https://opendata.socrata.com/ , which is an open data resource. You'll be prompted to open an account at Socrata at some point, if you don't already have one. I've taken as an example a data set I found there on alcohol consumption per country from the World Health Organization (WHO). It offers a breakdown of per capita alcohol consumption among adults over 15 across 193 countries. · Sorting the information in the data by, for example, adding subsections of the overall data. We are going to use a platform called Silk https://www.silk.co to visualise this data. So we need to export it from Socrata and upload it to Silk. Under the Export options in Socrata, choose 'Export as a CSV for Excel' and, for ease, save it to your desktop. Open Silk and click on Create a new Silk. Silk turns each of those lines into what it calls data cards. So with this example, when we upload it a data card will be created for each of the countries covered. Your spreadsheet needs a row at the top which has the titles or headings that enable the software to organise your data. This one has just two, location, and alcohol consumption per capita. If that line were missing for any reason, Silk or any other visualisation tool could not make sense of the data, so you'd need to add appropriate headings. That's something you'd do at the Filtering data stage. Your data is also converted by Silk into what it calls pages. You can add elements to those pages, each of which is given its own unique url. So if you are writing an article and want to embed pages of data - subsets of the overall dataset - at particular points, you can do so. Let's go ahead and upload our data into Silk. 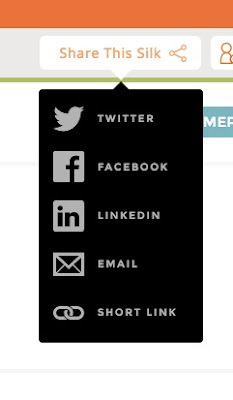 Click to Proceed and choose the 'Upload spreadsheet' option. Then click and drag the spreadsheet you have saved to your desktop into this area of Silk. The data on your spreadsheet is being turned into data cards. When that has happened you can click to explore data cards. Try them out. Think, in each case, how easy that particular visualisation makes the data to 'read'. Ideally, we'd like the type of visualisation we finally choose to enable readers to see at a glance some salient facts. For example, which countries have the highest per capita consumption, and which the lowest. Some types of visualisation aren't much use. 'List' givers each country in alphabetical order, with the consumption. 'Grid' and 'Mosaic' don't add anything. 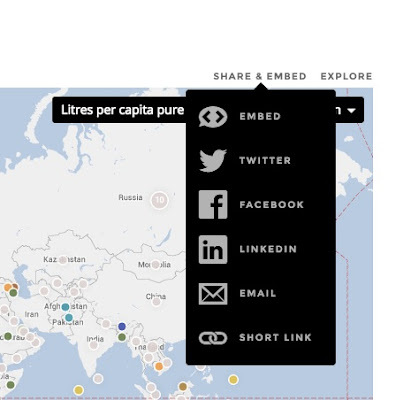 If you click on Group and then, under the 'Group by' option that appears, use 'Litres per capita', you get individual countries grouped under levels of consumption, which mean you can quickly see geographic and cultural patterns in the data. Map sounds promising but you'll find you are prompted to add categories via dialogue boxes to organise the data. Silk gives suggestions. But that takes a lot of work by the reader, who has to click on a country pin to find out what the alcohol consumption there is, so doesn't help them all that much. Use the 'Colour by' dialogue and you get a more useful picture. Now, a coloured disc appears on each country, with a number on it. The number represented the consmption, rounded to the nearest litre, and the discs vary in size depending on the level of consumption in that country. So, now we are beginning to get a visual representation of the data that helps readers interpret it at glance, rather than by wading through lists of figures. Click on it and my visualisation will open up in a nicely presented Google map, with the map element presented effectively in context. This is one of the individual pages Silk has created for me, so I could use it as part of the article I am writing. If you do click to publish you'll then have to click on Explore again to get back into the data. Run along the rest of the options. Bars and columns give you an immediate comparison. With columns you need to scroll across to reveal which country is represented in each stack. See anything immediately interesting or surprising? Which country would you have guessed, befroe looking at this data, had the highest alcohol intake? Infact, according to his WHO data it is little Luxembourg. In terms of giving an instant indication of what the data shows, this is an effective visualisation. As you'd expect, Muslim countries show the lowest readings. Silk limits you to 3,000 rows of data, and will reject any data set that exceeds that total when you try to upload it.